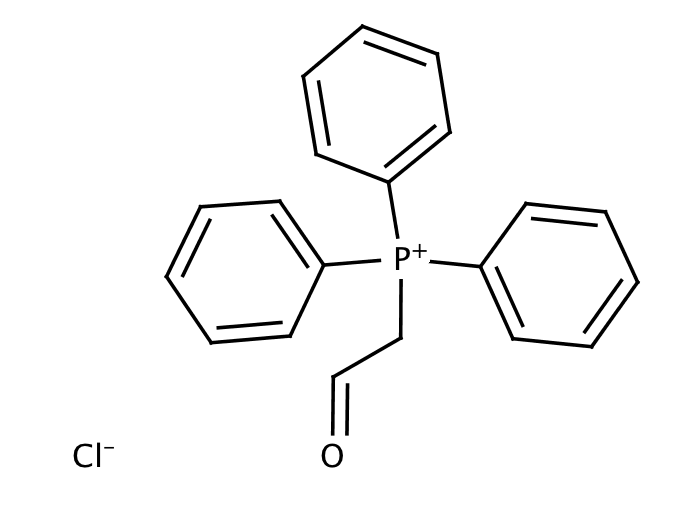 (Formylmethyl)triphenylphosphonium Chloride is a useful Wittig reagent. Used as a reactant for Hydroazidation reactions in preparation of a-azido alcohols, Preparation of prodrug (2-hydroxyamino-vinyl)-triphenyl-phosphonium (HVTP) inhibitor of peroxidase activity and apoptosis and Intramolecular [4 + 3] cycloaddition reactions. Send us your enquiry for (Formylmethyl) Triphenylphosphonium Chloride. We offer custom pack sizes at special prices. We aim to respond to your enquiry within 24 hours. We value your input so if you have suggestions regarding new applications for (Formylmethyl) Triphenylphosphonium Chloride email us and we will include your contribution on the website.